The Gold Fan leather earrings are one of our best sellers. Subtly coloured, they transition effortlessly between day and night. 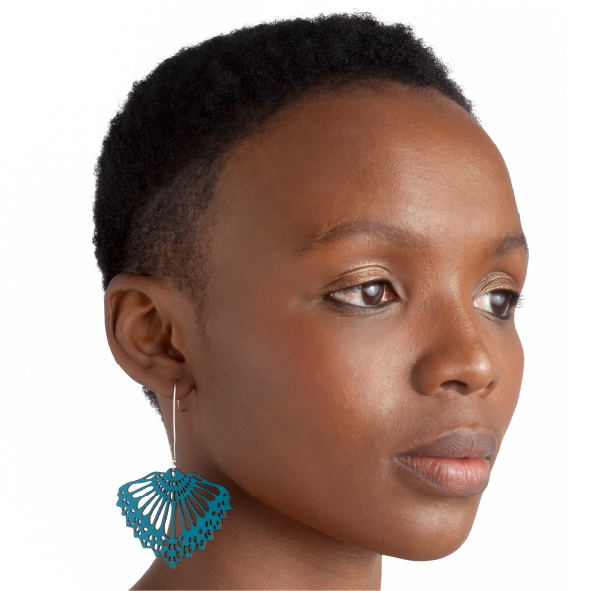 Or add some feather-light deep teal to your outfit with the striking Teal option. They are laser cut from leather and hung on elegant sterling silver hooks. The Fan earrings are hung on sterling silver hooks and measure 8cm from top of the hook to bottom of the earring. They are 5cm wide. Notify me when Black Fan Earrings Leather is available.